The Bella Fino Case for the iPhone 6 Plus and 6s Plus is designed by the hard workingÂ folks overÂ at Pad & Quill. 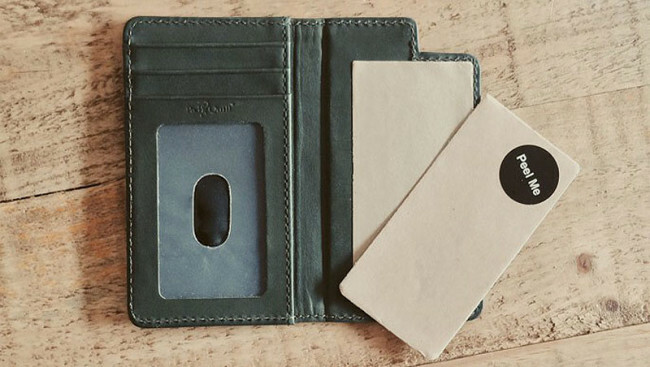 Â This slim leather wallet case will challenge any negative pre-conceived notions you might have had about wallet cases for your iPhone–I know it did for me. Â The conceptÂ of a wallet case is that it can potentially replace the need for a wallet, and also double as a case for your iPhone. One of my recent goals has been to streamline my wallet needs, and find a suitable solution where I don’t need to carry one at all. Â Most of the time I leave my wallet in my car, as I hate the extra lump in my back pocket. Â It’s because of situations like this thatÂ I try to avoid typical wallet designs. Â I find that, more often than not, using a typical wallet lends itself to carrying around more than you really need simply because you have the extra space. Â With the Bella Fino Case both situations are managedÂ simultaneously. 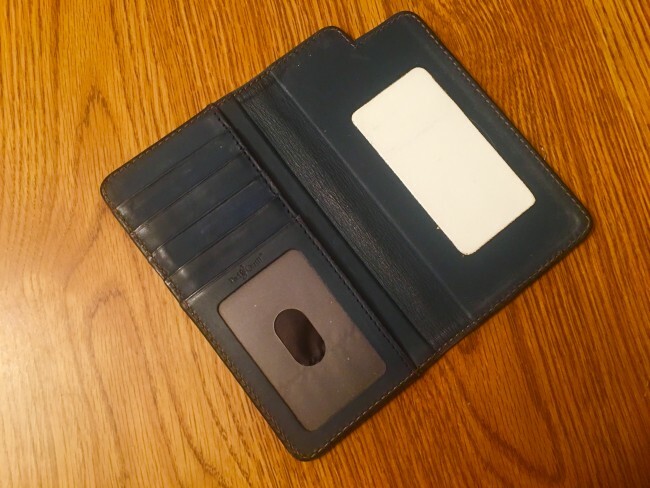 Â There are enough pockets for several credit cards and your drivers license or ID, as well as a hidden pocket for cash, without the unnecessary bulk associated with a typicalÂ wallet. The Bella Fino is made from a single piece of luxurious full-grain American leather designed to age with a rich patina. Â This may not sound like a big deal at first, but when you see the finished product, you’ll understand exactly what I’m talking about. Â A leather case looks so much better, and can handle daily wear and tear much easier when there isn’t additional stitching added to keep multiple pieces of leather together. Â However, the stitching that they utilize foe the Bella Fino is made from a marine grade, UV resistant, nylon. 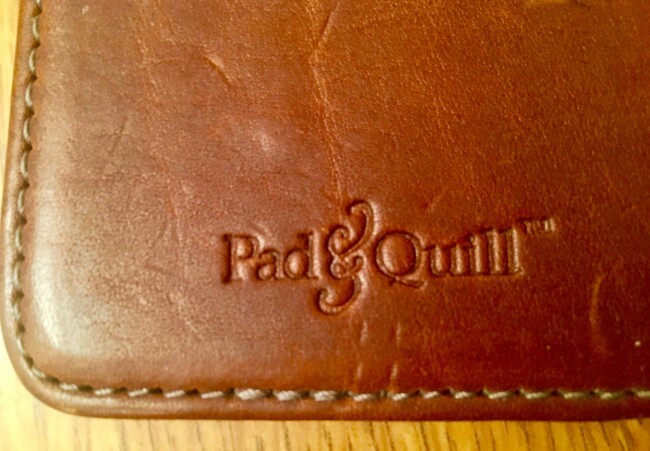 Â Pad & Quill spared no expense, and it’s this attention to detail that shows just whyÂ this is a premium case. The natural wear on the leather darkens in appearance over time, and adds character and uniqueness to the case. Â As a result, no two cases look the same after a week or two. Â The inside is also made from an ultra-slim lay-flat high grade top grain leather, and is available in several different color combinations that vary depending on yourÂ outer colors choice. Â The Dark Chocolate Brown leather exterior is accented with the smokey Slate Gray interior, the Black leather exterior is matched with a Merlot or Slate Gray interior, Â and my favorite, the Whiskey leather exterior with Deep Sea Blue, or Forest Green interior leather. 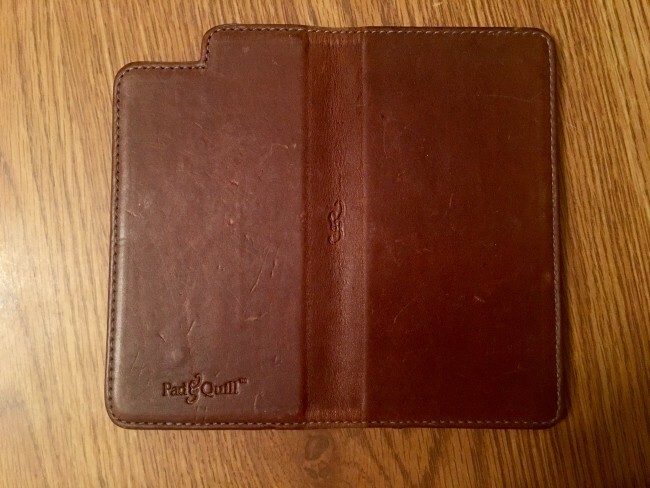 Depending on whether you’re using an iPhone 6/6s or 6 Plus/6s Plus, there are 5 and 6 pockets respectively that you can storeÂ items the size of a standard credit card–with the outer most slot sporting a clear front–ideal for a drivers license or ID. Â As expected with this design form factor, all the ports are accessible withÂ the top and bottom of the case open. Â In addition, there is a cut out in the corner of the Bella Fino for the rear camera lens and flash. Â If you’re worried about the case adding too much bulk to your device–rest assured it only adds 0.28 of an inch to the overall thickness. Â Initially, though, your case might seem a little thicker and stiff at first. Â That’s to be expected, as it takes the leather a week or two to start wearing and flattening into the case you’ll use for years to come. Now I know what you’re thinking–how isÂ my iPhone going to stay secure in the Bella Fino, and will I ever be able to remove it for any reason, and still be able to reinstall it at a later date? Â You’re in luck, because Pad & Quill worked very closelyÂ with 3M to create a new secure locking adhesive technology that not only holds your iPhone completely secure, but when you remove it, there’s no left-over residue to worry about either. Â I have used a variety of wallet cases with an adhesive pad to secure your phone. Â The Bella Fino is by far the easiest to remove and install as well as the most secure system I have every tested. Â With this clean release system, your iPhone comes off when you apply consistent tension, but also has the holding power to be reinstalled dozens of times. Â In addition, if you’re ever in need of a replacement, Pad & Quill sells additional 3M adhesive pads providing you withÂ years of confident use. These guys stand by their products in the most convincing manner. Â The leather used to cover the Bella Fina is warrantied for 25 years. Â That’s a ridiculous amount of time, andÂ it speaks volumes towards illustrating their belief in theÂ craftsmanship that goes into every case. Â That pride also extends to theirÂ 30-day money back promise. Â If for any reason you’re not completely satisfied, just return it for a full refund–no equations asked. Â Spoiler alert–you won’t be retuning your Bella Fina or any of their other quality products. 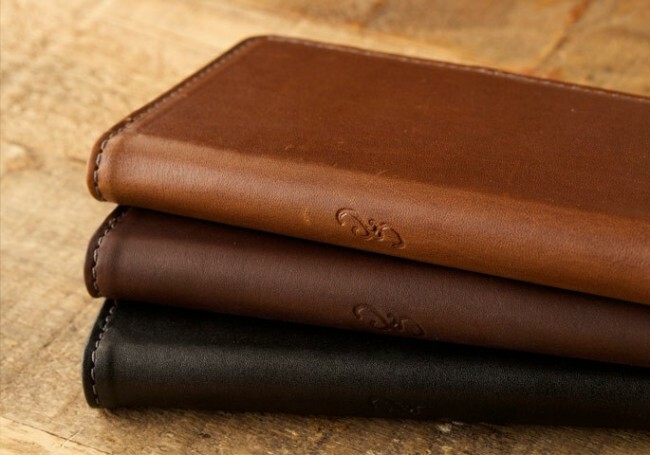 Â If you like what you’ve read so far, I highly recommend heading over to Pad & Quill and order your ownÂ Bella Fino slim leather wallet iPhone case for $69.95. Â But don’t just take my word for it check out what others have had to say as well. The Bella Fino iPhone CaseÂ Â was provided for review on iPhone Insight. For further information regarding our siteâ€™s review policies, please see the â€œAboutâ€ page.